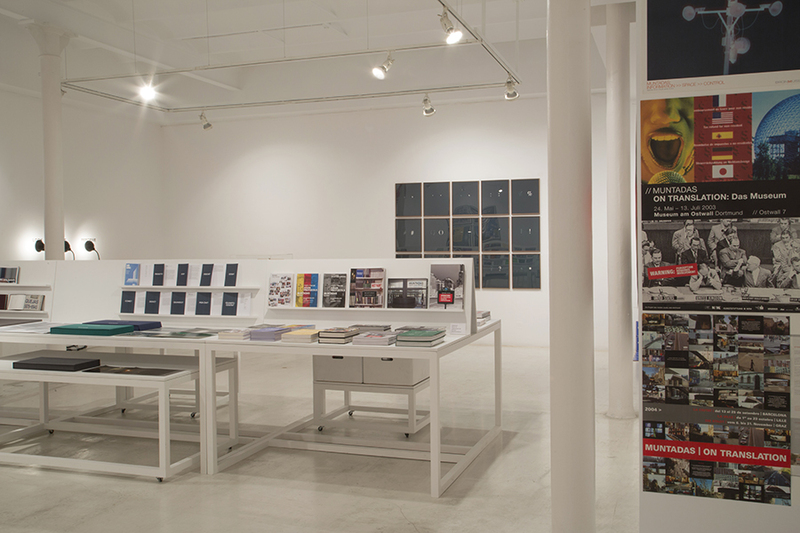 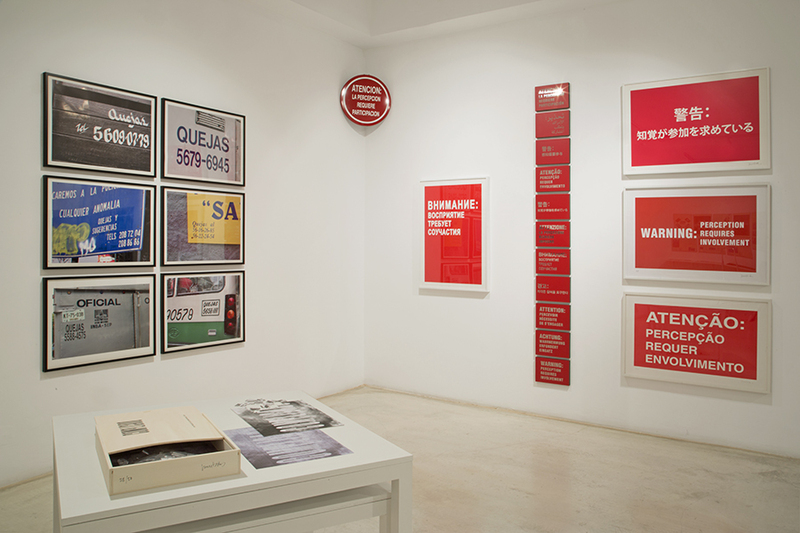 Galeria Joan Prats presents the exhibition Edicions II by Muntadas, which gathers a selection of serial works the artist has developed since 2003 up to the present day in different formats: publications, prints, videos, objects, installations and other graphic materials. 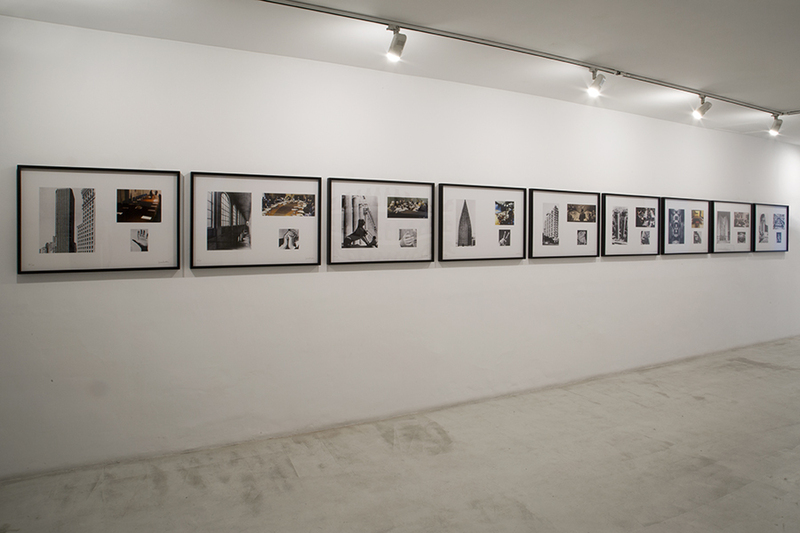 This exhibition completes the work started in the exhibition Edicions, made at Galeria Joan Prats in 2003. 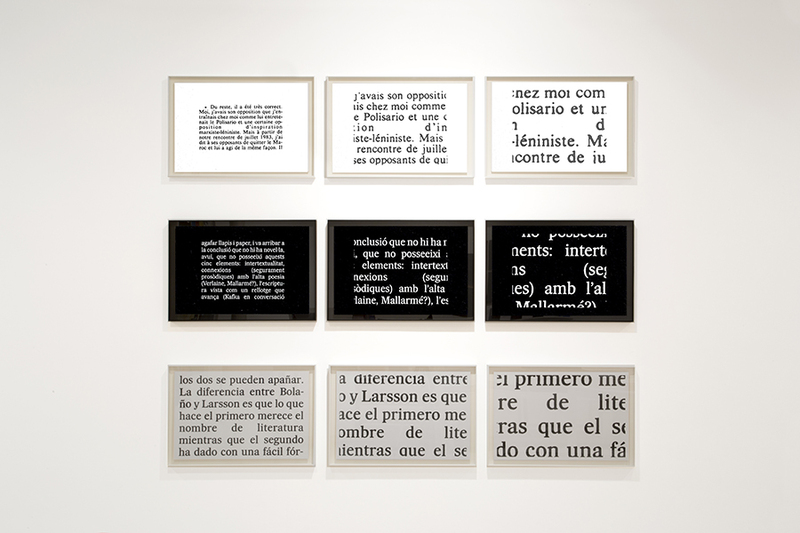 Fragments of Oriol Fontdevila’s text Piscine Obliviousness. 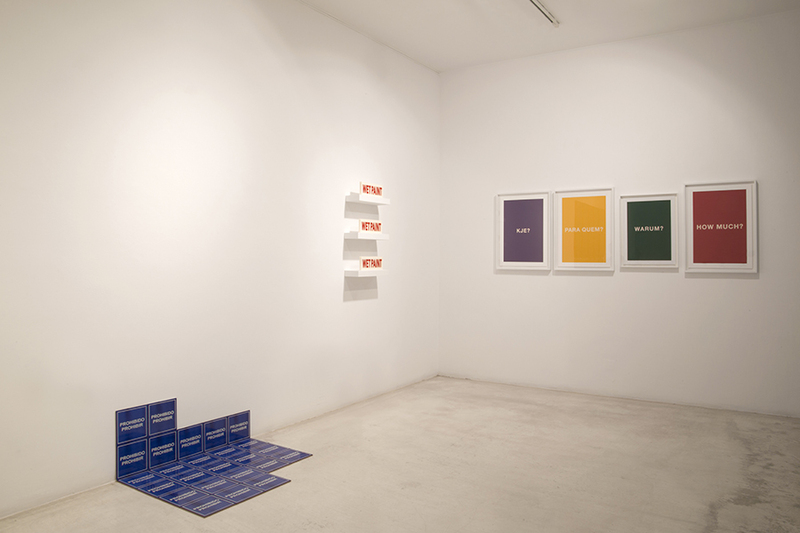 Amphibious editions, from the exhibition catalogue. 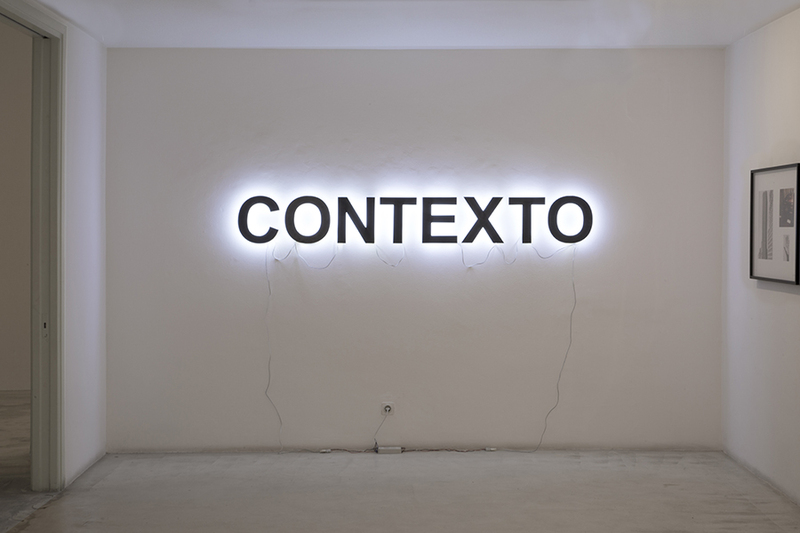 Muntadas, born in Barcelona and living in New York since 1971, was a pioneer of video and installation in the mid-seventies, and continued working with photography, video, installation, audio, and urban interventions. 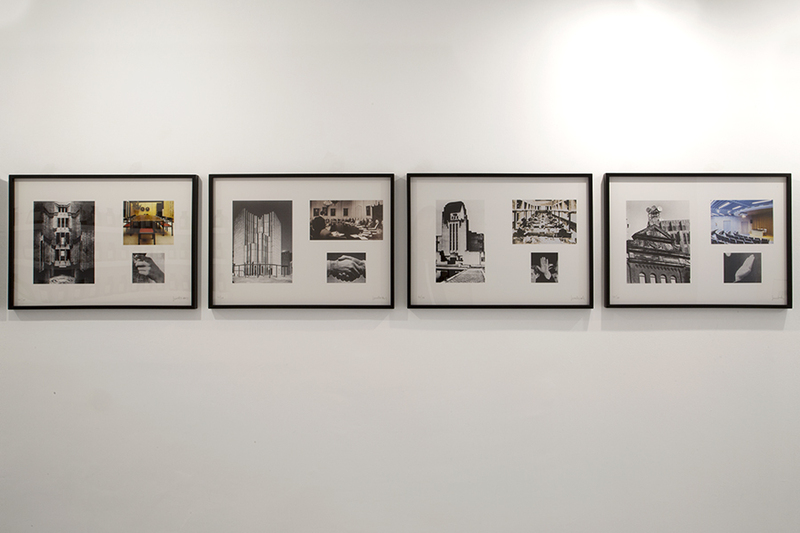 Iterations of his iconic projects, such as Between the Frames: The Forum (1983-1993), The Board Room (1985), and the on-going series On Translation (1995- …) and The Construction of Fear (2008- …) – have been exhibited in institutions and galleries of the USA, Latin America, Europe and the Mid-West. 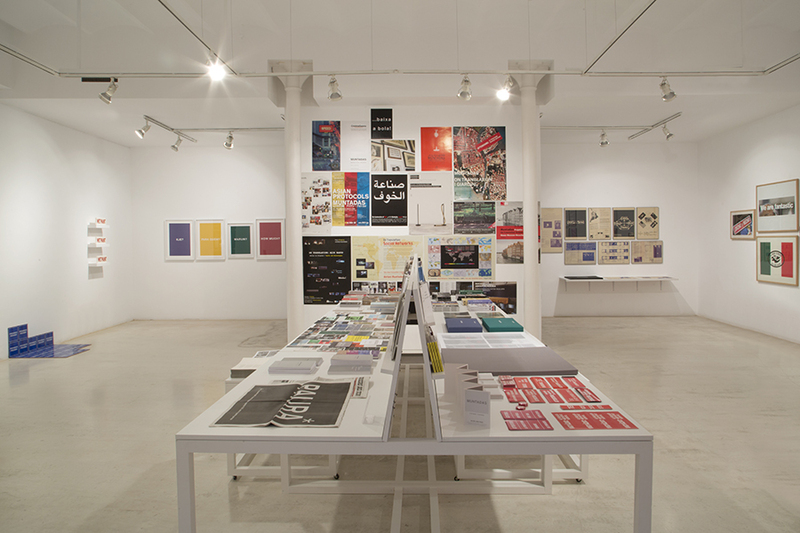 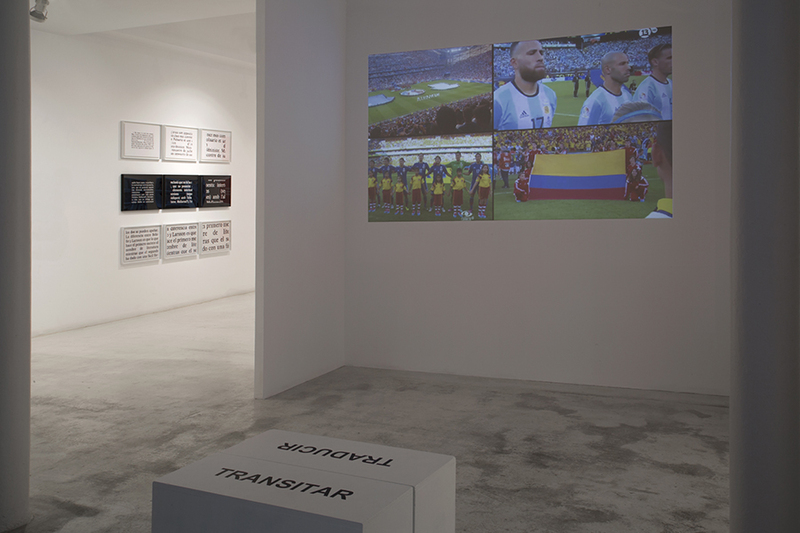 Muntadas participated in the Documenta’s 1977 and 1997 editions, the Whitney Biennial of 1991, the Bienal de São Paulo of 1983, the Bienal de La Habana of 2000, the Taipei Biennal of 2002, the Gwangju Biennale of 2004, the Instanbul Biennal of 2011, and the Paris’ La Triennale of 2012. 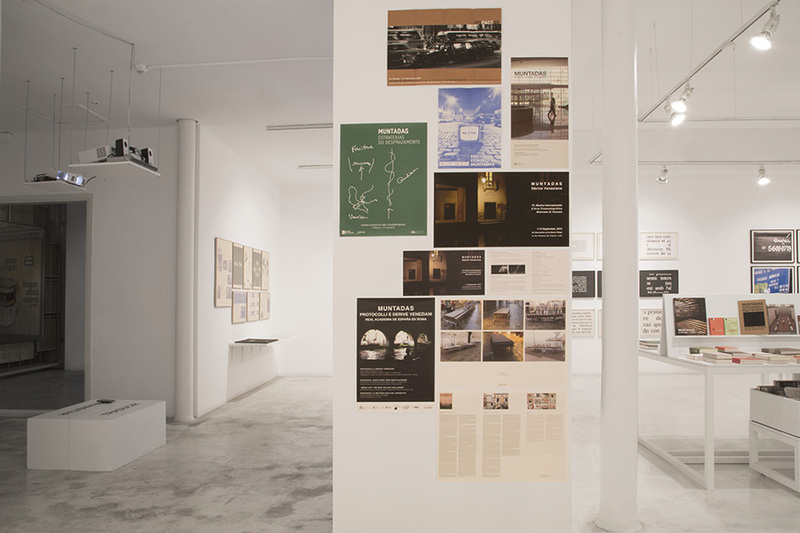 In 2005, he represented Spain in the Venice Biennale, where he created an integral project about the architectonical evolution of the Biennale throughout its history. 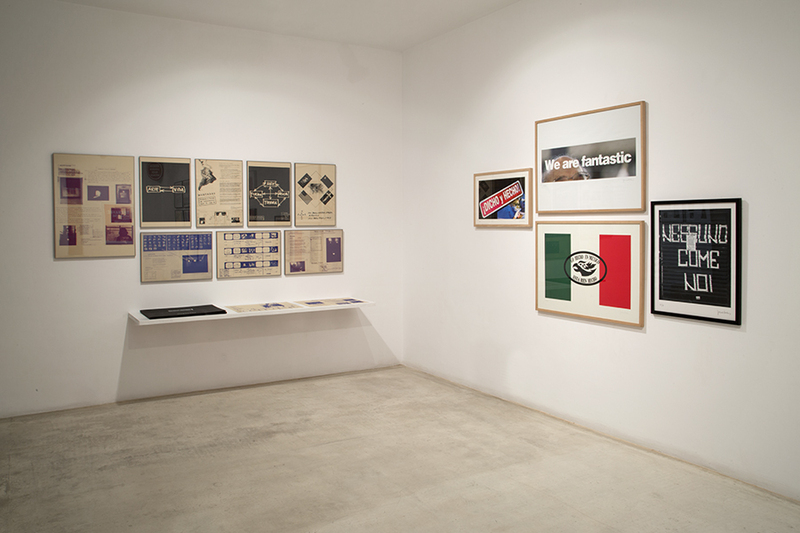 His works have been included in exhibitions at MACBA, Barcelona; Laboratorio Arte Alameda, Mexico City; Weserburg Museum, Bremen; Espacio Fundación Telefónica, Buenos Aires; Württembergischer Kunstverein, Stuttgart; and Estação Pinacoteca, São Paulo. 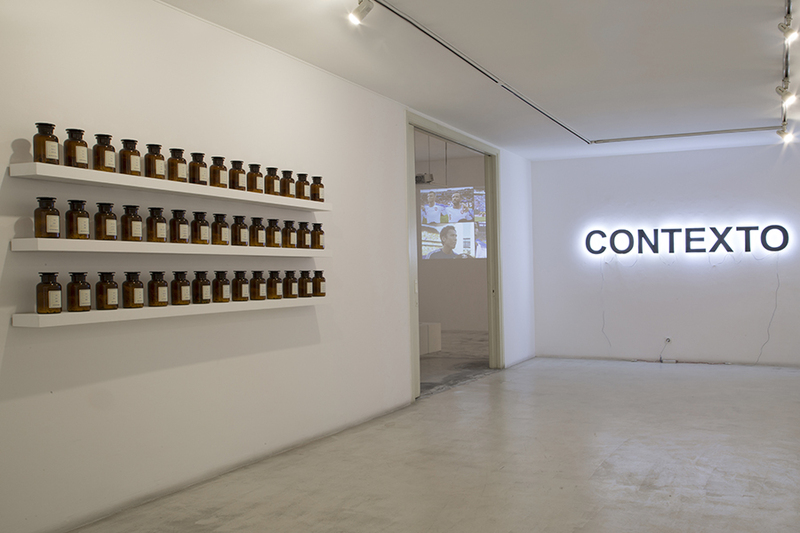 Since 2011 he has been working on the project Asian Protocols, presented to the public for the first time at Total Museum of Seoul (2014), and for the second time at 3331 Arts Chiyoda of Tokyo (2016). 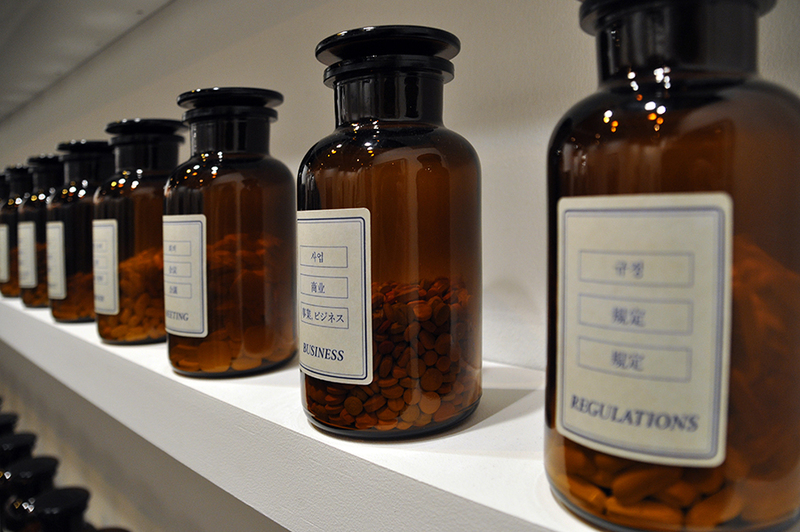 The next step of the project will be its development in China.